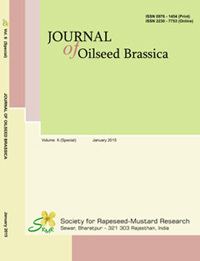 The Society for Rapeseed-Mustard Research has constituted the following awards and honours for outstanding contributions in the field of oilseed brassica research In India: Those who have made outstanding contributions in their respective fields may apply for the following awards (except Lifetime Achievement Award) by sending their brief resume. All the research workers (above the age of 55 years) actively engaged or devoted their carrier in the field of oilseed Brassica research, education, extension shall be eligible for the award. The award shall be presented at the Society conference and one page profile of the awardee shall be printed in the journal. This award was instituted in 2011 to recognize the contributions of Dr. P.R. 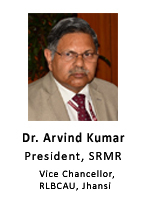 Kumar, founder Director of National Research Centre on Rapeseed-Mustard, Bharatpur (Raj) India. 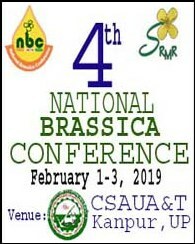 The award is given to the brassica scientists of Indian origin in recognition of their outstanding professional leadership and contributions in the field of Brassica crop development. This award is presented during NBC organized by the Society for every year. 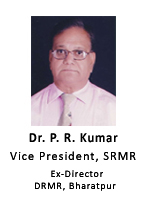 Nominations for the award will be invited by SRMR from the members of the Society. Nominations shall be accompanied by a bio-data indicating attainment of the candidate. Nominations received will be scrutinized by a Screening Committee (SC) of three members constituted by E.C. If any member of the E.C. or SC is to be considered for the award, he/she shall cease to be a member of these committees. Award can be given only once. After the acceptance of the recommendations of the Screening Committee by E.C., the award shall be announced. After the acceptance of the names recommended by the Executive Council, the Society will inform the recipient of his selection. 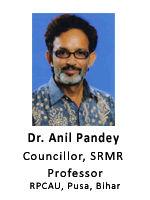 This award was instituted in 2012 to recognize the contributions of Dr. P.R. 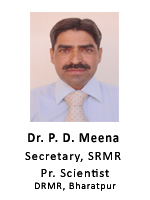 Verma, former scientist from Agri-Food Canada, Saskatoon Research Centre, Saskatchewan, Saskatoon, Canada to promote qualitative efforts in the field of brassica research and to provide encouragement to brilliant young scientists for their original work (age below 45 years). 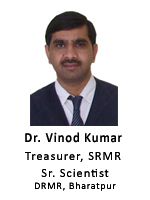 Not more than one scientist, who is the founder / life member of the Society, would be awarded in the award year. Nominations will be invited by the Society for the award from the members of the Executive Committee (E.C.) of the Society.Nominations shall be submitted alongwith bio-data of the candidate indicating significant achievements and full length original research paper. Nominations received will be scrutinized by a Screening Committee (SC) constituted by E.C. Three best research papers among the total received nominations will be selected for presentation by the candidates in the conference. 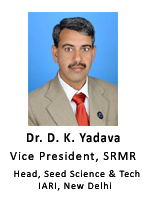 The Society for Rapeseed-Mustard Research (SRMR) shall have fellows amongst the outstanding active members of the Society in recognition of their professional leadership, outstanding contributions and services to the SRMR. They shall be selected by the Executive Council. The number of fellows each year shall not exceed more than five. SRMR established the best Doctoral Dissertation Award to recognize and encourage the superior research by doctoral candidates in Brassica research. These awards are presented at the SRMR conference. The competition is aimed at all candidates of PhD in Brassica research from all over county. Dissertation of each applicant must have been successfully submitted and awarded in last year by a recognized university will be considered. Candidate must present their research paper in the award session during NBC. They need to submit their research paper for publication in the Journal of Oilseed Brassica. Application accompanying the research paper and support document of degree must be submitted before deadline. 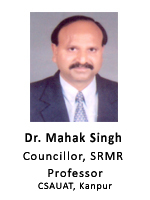 SRMR established the best Master Dissertation Award to recognize the quality research achievement, encourage effective writing and develop oral presentation skills for young students in any area of brassica research including plant breeding, agronomy & soil science, plant protection, extension, biochemistry, biotechnology etc. The competition is aimed at all post graduates from all over county. Each nominated dissertation must have been successfully submitted and awarded in the last year by a recognized university/ institutions will be considered. Down load prescribed performa for application of awards. The Society has the full right for deciding the number of awards. Application award must be submitted before deadline as and when announced by SRMR.